WASHINGTON (Sputnik) - The United States is urging all parties in Zimbabwe to join in a credible national dialogue mediated by a neutral third party, US Department of State spokesperson Robert Palladino said in a statement on Tuesday. "The United States calls on all sides to come together immediately in national dialogue", Palladino said. "The dialogue process must be credible, inclusive and mediated by a neutral third party". Palladino expressed concern about what he called an "excessive use of force" by Zimbabwe’s security services. Since 14 January, the government’s suppression of nationwide protests against increased fuel prices has claimed the lives of at least 13 people, Palladino noted, adding that 600 people have been injured and more than 1,000 arrested. "The government of Zimbabwe’s use of violence against civil society and imposition of undue internet restrictions betray promises to create a new Zimbabwe", Palladino said. Palladino called on the government to end the violence, immediately release imprisoned civil society activists and enact promised political and economic reforms. Calls for a national dialogue have been getting louder in Zimbabwe in light of the country's violent suppression of nationwide protests against increased fuel prices, which came into effect in mid-January. According to media reports, over a dozen of people were killed in protests, while dozens of others have received gunshot wounds. The violent turn of the events caused the country's government and opposition to clash in an exchange of accusations. Rallies erupted in Zimbabwe on 14 January after fuel prices rose 150 percent across the country. 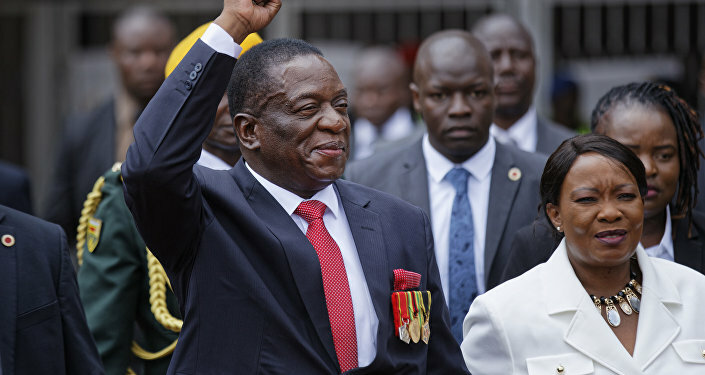 Demonstrators initially took to the streets of the country's capital of Harare and second-largest city of Bulawayo that day, after which protests spread across the nation. Leader of opposition Movement for Democratic Change Nelson Chamisa accused the country’s leadership of brutal crackdown on protests.